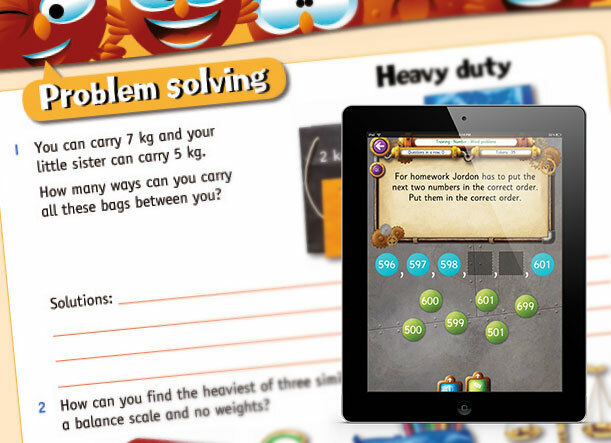 Student books, Teaching guides, Interactive CD-ROMs, Mentals for home learning and huge all-new iPad Apps make Targeting Maths the complete package! Easy implementation of the Australian Curriculum with full colour Teaching Guides that include everything you need from Year Planners to Assessment Work sheets. Australian Curriculum Content Descriptions are aligned to each page. The proficiency strands coverage is shown by these 4 icons in the Teaching Guides and Student Books. The complete program also includes teacher guided learning sequences, authentic hands on differentiated learning experiences, best practice teaching and learning and links to quality maths literature for F - 2. Teachers Guides are Coming Soon. Engaging Student Books and Apps for Improved Learning. The student book that children love to use! Student Workbooks are full of student-friendly activities with instructions that are easy to read and understand. Students enjoy using these books. 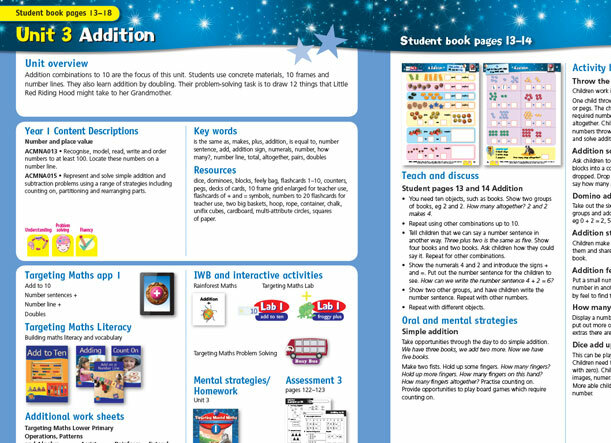 Activity books provide suggestions for rich mathematical tasks across a range of learning styles. The books also include links to extra resources that assist, reinforce and extend. Engaging Student Books and Apps for blended 21st century learning. 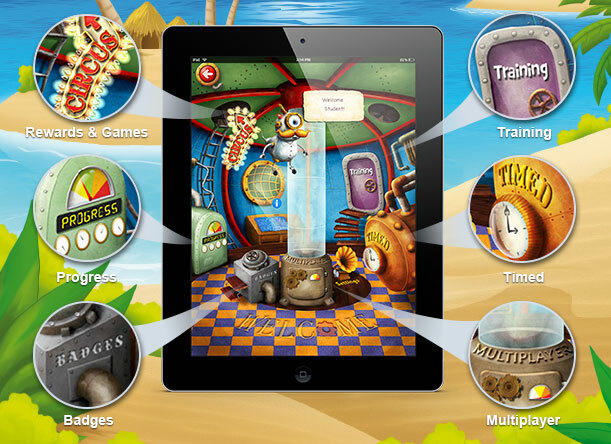 The first Australian Curriculum maths app for iPad with a huge range of activities! Choose from Training, Timed or Multiplayer. Multiple accounts – tracks progress and achievements for each student. 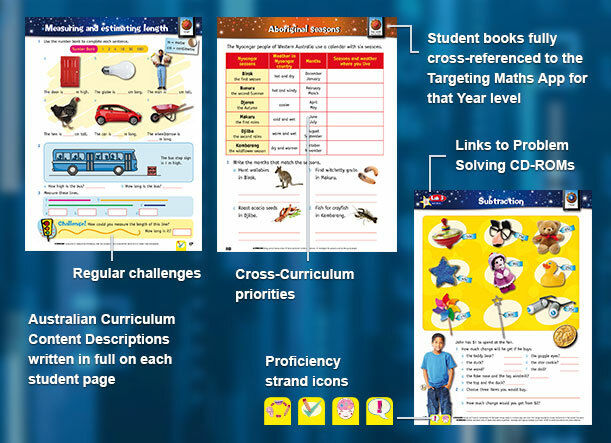 The apps can be integrated as set homework tasks. Save 50% when purchasing 20+ copies of an individual app. Redeemable via https://volume.itunes.apple.com/au. Targeting Maths includes an Integrated Problem Solving Program that actively builds students’ problem solving capabilities. Integrated Problem Solving Program embeds problem solving in every unit. Children learn new skills and then apply them to a variety of interesting problems. Student's workbooks include an integrated problem solving program that actively builds students abilities to think mathematically, solve problem and communicate their answers in a variety of ways. Revision pages appear at mid-term and at the end of each term to revise key concepts. Mid-term and end of term revision sections reinforce skills. 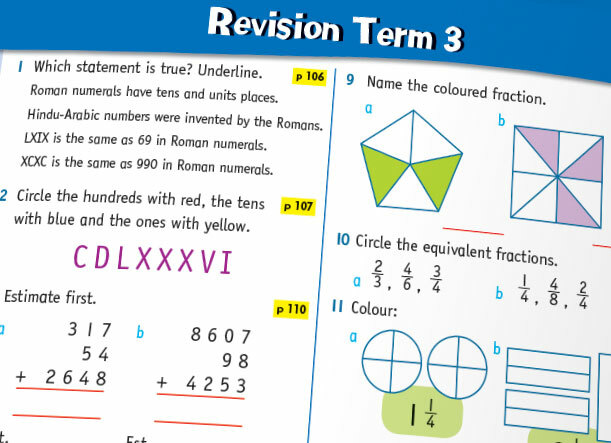 Mid-term revisions appear as NAPLAN-style questions with full practise tests included in Years 3 – 6. 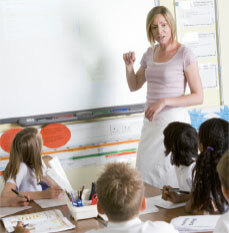 Targeting Mental Maths series improves students’ mental maths strategies and recall of basic facts. 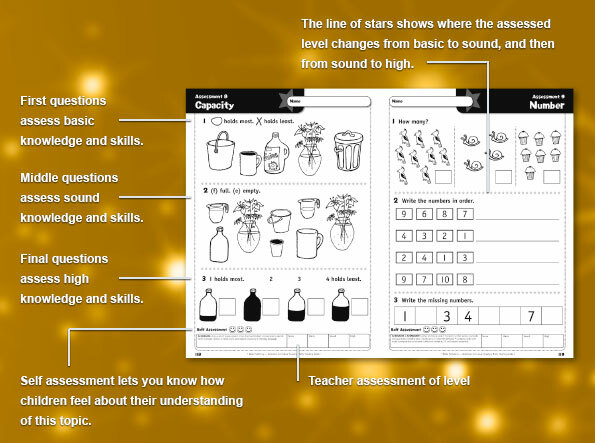 Topic-based assessments include sections that test skills at three levels of understanding — basic, sound and high. More than 40 Assessments included in each Teaching Guide. Interactive versions of all assessments on the CD-ROM. Cumulative and summative assessment opportunities. Did you know? You can have a Pascal Press representative visit your school for product demonstrations and presentations. Request an appointment today! Your local Pascal Press Education Consultant can give you expert advice on all your classroom needs, display and demonstrate resources to you and your colleagues, plus keep you informed of the latest developments from Pascal Press (Australian schools only).